It wasn't a bad book. The story line wasn't incredibly captivating. It was hard to visualize the story as it was read. 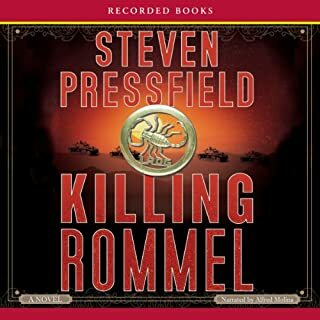 Another military style book, maybe Band of Brothers. The story takes a detour at the beginning to the main characters earlier life in college. I thought it was leading to some part of the plot but ended being of no significance in my opinion. There were a few captivating moments in the story. But overall was a mediocre book. 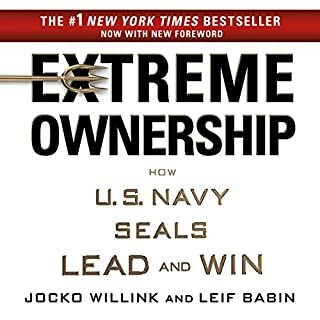 If you could sum up Extreme Ownership in three words, what would they be? How they took a story from their experience in combat and applied their concept to the story and then to a civilian world business example. What about Jocko Willink and Leif Babin ’s performance did you like? Well read and narrated. Very simple to understand and follow. Not necessarily, but I seldom listen to any book all in one sitting. Great book though. 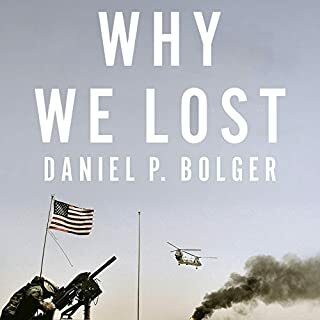 Over a 35-year career, Daniel Bolger rose through the army infantry to become a three-star general, commanding in both theaters of the U.S. campaigns in Iraq and Afghanistan. He participated in meetings with top-level military and civilian players, where strategy was made and managed. At the same time, he regularly carried a rifle alongside rank-and-file soldiers in combat actions - unusual for a general. An apolitical account of our recent wars. What did you like best about Why We Lost? What did you like least? This book drew a good broad picture on the wars and why they failed. You can see from a managerial perspective of the wars the many shortcomings that came from lack of planning and execution on the coalition's part in the matter of sustainment operations for the war country. It was a long listen and had a big focus on the Iraq war and not nearly as much on the war in Afghanistan. The author described many small stories in the wars that really didn't tie into the bigger picture of the story. Kind of seemed like filler. Do you think Why We Lost needs a follow-up book? Why or why not? 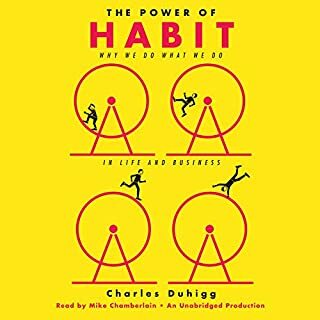 Would you listen to The Power of Habit again? Why? The author laid the material out very well and easy to understand. It is so practical the way the author explains understanding habits. Any leader in any professional industry should read this. This will help you understand the habits of others and potentially their behavioral tendencies. I liked the story of Paul O'Niel changing the culture of ALCOA by focusing on the safety of his workers resulting in quadrupling of profits for the company. What does Mike Chamberlain bring to the story that you wouldn’t experience if you just read the book? I would recommend this book, but behind a few other books first. Some great concepts, but the author jumps around quite a bit from concept to concept. The author needed to stay on subject or story long enough to finish the thought or story he was telling. What about Joseph Grenny’s performance did you like? There were some really good concepts and examples for how/when to apply the concepts for crucial conversations. 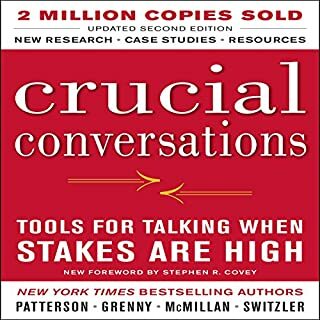 Do you think Crucial Conversations needs a follow-up book? Why or why not? No, the book is detailed enough. 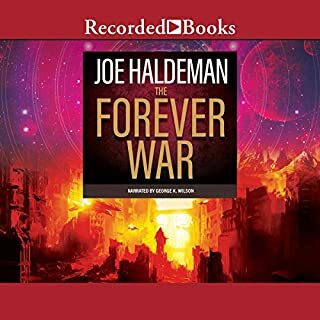 What disappointed you about The Forever War? Very disappointing storyline. There is next to no reading on the fighting in the war they were in. Story was just not that deep or interesting. You spend a good portion of the book wondering where the storyline is even going. There are some interesting concepts about space travel, it was just not my cup of tea. What was most disappointing about Joe Haldeman’s story? Lack of substance in the storyline. More detail and buildup to a bigger story. The book needed more information on the fighting in the war. 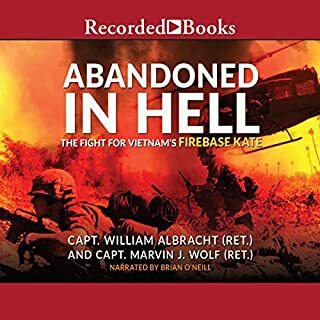 In October 1969, Captain William Albracht, the youngest Green Beret in Vietnam, took command of a remote hilltop outpost called Fire Base Kate, held by only 27 American soldiers and 150 Montagnard militiamen. He found their defenses woefully unprepared. At dawn the next morning, three North Vietnamese Army regiments - some 6,000 men - crossed the Cambodian border and attacked. This was a good book. Not as captivating as I thought. Author didn't give a lot of detail in first half in order to draw a good mental picture. These men went through hell and the book describes that fairly decently. Some have called him "Lawrence of Afghanistan". To the Pashtun tribesmen he is "Commander Jim", leader of the "bearded ones". He is Army Special Forces Major Jim Gant, one of the most charismatic and controversial U.S. commanders of modern memory, a man who changed the face of America's war in Afghanistan when his critical white paper, "One Tribe at a Time", went viral at the Pentagon, the White House, and on Capitol Hill in 2009. THE TRUE ARMY OF ONE!!! 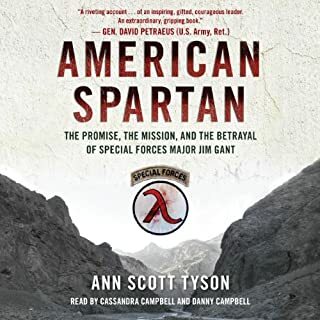 "THE SPARTAN"
Incredibly written and read. Flows smoothly and keeps you wanting more. This book will make you rethink how we have approached both wars in Iraq and Afghanistan.